The Zimbabwe Tourism Authority (ZTA) is a National Tourism Organization, which is responsible for developing, managing, promoting and marketing Zimbabwe as a tourist destination in both the local and international markets. Botswana Tourism Organisation (BTO) is a parastatal corporate body. The organization plans, develops and implements tourism marketing and promotion strategies for Botswana and manages and coordinates tourism promotional and publicity programmes. The mission is to develop Botswana into a unique preferred tourism destination of choice. Zambia Tourism Board was established through an Act of Parliament with a mandate to promote and market Zambia as a tourist destination within and outside Zambia. 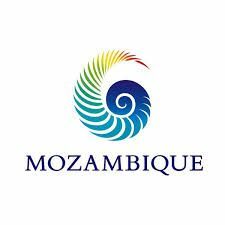 Mozambique Tourism, the national tourism agency, is responsible for developing, managing, promoting and marketing Mozambique as a destination internationally and domestically. South African Tourism is the national tourism agency responsible for marketing South Africa as a destination internationally and domestically. It aims to make tourism the leading economic sector in South Africa, and so promote sustainable economic and social empowerment of all South Africans. Internex is our reliable web space provider and webhost from Austria. Internex provides fast and safe network connection and servers in Vienna. The support is very friendly, quick and knowledgeable, the prices are persuasive. PBC CONSULTING AG is our trustworthy partner in consulting and accounting/finances, based in Fürstentum Lichtenstein. The company and its lovely team stand for competent, personal service in financial and consulting matters. Zurich is our experienced and reliable insurer for safe travelling. Its goal is to protect the people and things they love because they value its knowledge, expertise and stability. Zurich has three core business segments – General Insurance, Global Life, and Farmers. PayPal is our partner for safer and easier online payments. The service allows to pay in any preferred way, including through credit cards, bank accounts, PayPal Smart Connect or account balances. PayPal makes payments possible across different locations, currencies and languages. Find our guests independent reviews on our profile on SafariBookings. The company is an online platform in the Netherlands, Europe, for quality info and reviews on tour operators. We are one of My Destinations local experts who power this global travel resource. My Destination works closely with the global partners whilst supporting local businesses. In order to provide our clients with all details and insider tips on Namibia, we work with Namibia Life Travel, our partner-expert in Namibia. To offer our guests an all-over Africa experience, we have a partner organisation in East Africa. Herewith we provide a safari itinerary from one source for your journey through southern and eastern Africa. Special thanks to Aleks and Serkan for their input on planning the new website and for their excellent work on developing and implementing it as well as helping with many IT matters. Gratitude to Mina and Christian for designing our logo, maps, pictures and developing our database and supporting us wherever they can.